Put your Etsy shop on Sale with FotoFuze! It's the holiday season again and many of our Etsy users are revving their engines for Cyber Monday and Christmas! We're currently beefing up and making our Etsy Sales tool the best it can be for this holiday season so that you, and your customers, can get the most out of it. Here's all you gotta do! 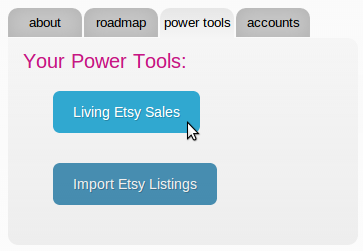 Under power tools, click the "Living Etsy Sales" button. You'll find this on the left side of your homepage. 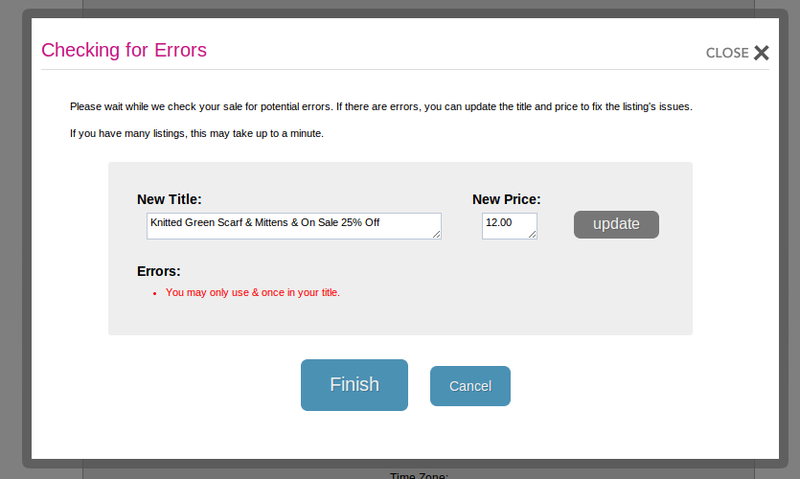 Click on "Create a Sale". 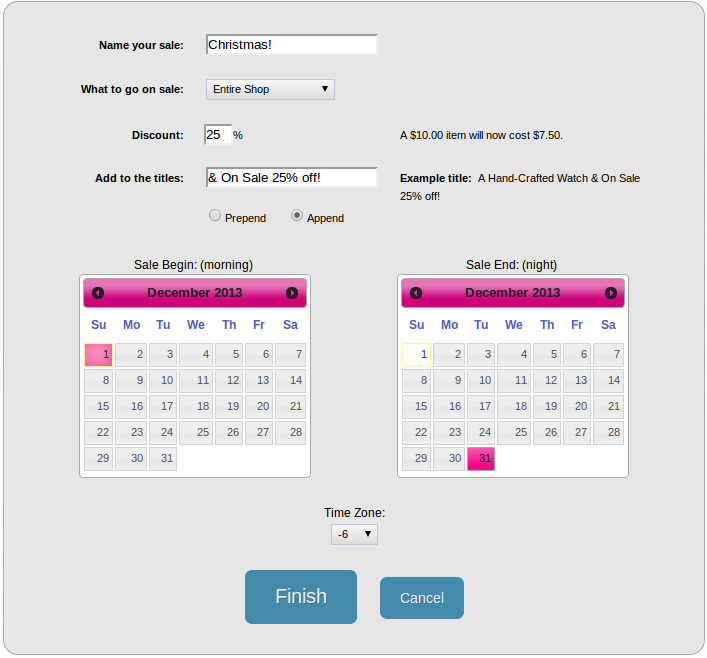 A window will expand, letting you set up all the details of your sale. After you've entered all of the sale's details, click the "Finish" button. We'll quickly check for any problems with starting the sale. If we find a problem, we let you quickly fix the issue. 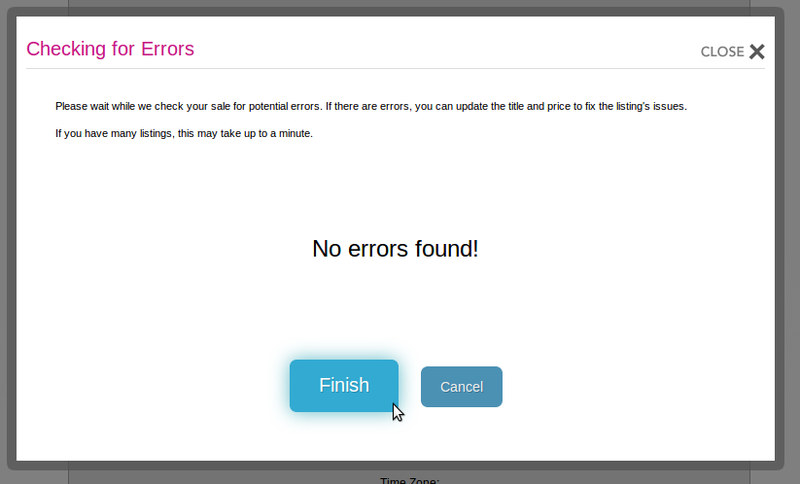 After you fix the issues or if there wasn't any problems at all, just click the finish button! And your sale is ready to go!